The Miele Swing H1 QuickStep comes standard with a FiberTeQ combination floor tool that is designed to care for all smooth flooring and low-pile carpeting. 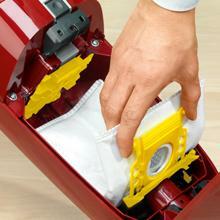 An integrated glide feature ensures a gentle clean on even your most sensitive solid floors. 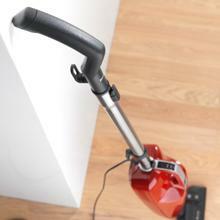 And by pressing a convenient rocker footswitch, you will transition to carpet and rugs with ease. 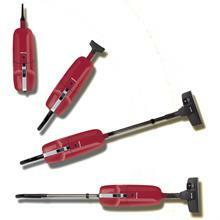 This tool is ideal for all smooth flooring and low-pile carpeting, a foot switch allows you to go from smooth floor to carpeted surfaces quickly. With a simple press of a clip, the Quickstep can be transformed into several convenient configurations. 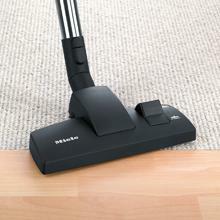 Enables the S 194 Quickstep to lean against a wall or other surface. 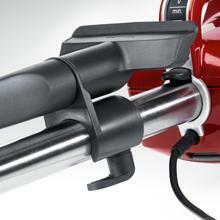 Miele's unique AirClean filtration system captures and retains over 99.9 percent of all lung damaging particles. 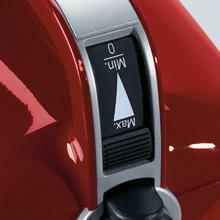 Includes upholstery and crevice tool with onboard caddy.